Was rummaging around Kmart a week or so ago and naturally I had to stop at the makeup section. They re-arranged everything and I almost had a panic attack when I couldn't find Jordana! To my surprise they actually expanded the selection and now they are carrying the matte formula of their lipsticks! Naturally I had to pick up two to try, one being Lavender Lady and the other being Baby Doll Pink. With the $1.49 price tag I honestly should have just grabbed them all and you will see why! 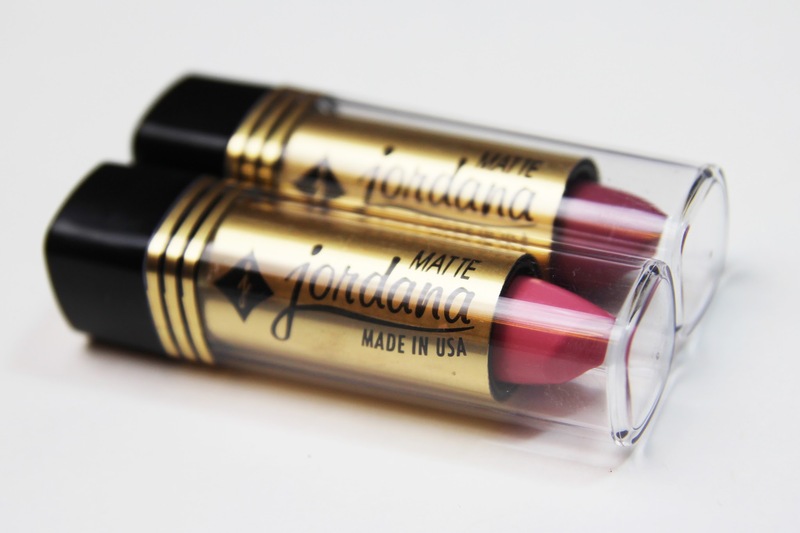 Jordana Cosmetics is a super affordable brand that is somewhat comparable to Wet N' Wild, Elf, and NYC in price and product. If you are familiar with those brands then you know each of them have their golden products and their not so lovely products. In Jordana's case I have had more ups than downs (12 Hour Made To Last Shadow Pencil, Fabuliner Liquid Eye Liner, Best Lash Extreme Volumizing Mascara), and now to add to my list of loves comes their matte lipsticks! It is crazy that I haven't heard anything at all about these lipsticks. They are extremely affordable at $1.49 and there is an amazing shade selection. They just released a ton of new trendy colors that I am resisting from ordering online… The payoff of these lipsticks in super opaque and creamy. Think Wet N' Wild Mega Last Lip Color, but more moisturizing and even cheaper. My favorite of the two I picked up is Lavender Lady. Lavender is such an on trend color, but it is hard to find a way to wear it as an everyday color. I have worn this color grocery shopping and even to work! It is super flattering and I would say it quickly has entered my "top ten lipsticks of all time" list. The other color, Baby Doll Pink, is just another color that caught my eye and had to have. It is a gorgeous light bright pink color that I feel will be perfect for the upcoming spring months! The only downside to these products would be the wear time not being superb, but you can't expect everything for just above a dollar. I would say I reapplied after 4 hours, which I can deal with. The other thing is the packaging. It is kind of cheap looking and it's not very sturdy. Overall I am extremely pleased with these lipsticks. They are extremely opaque, affordable, matte lipsticks which are a little hard to find from most drugstore brands! I will definitely be picking up more of these in the future, very near future. 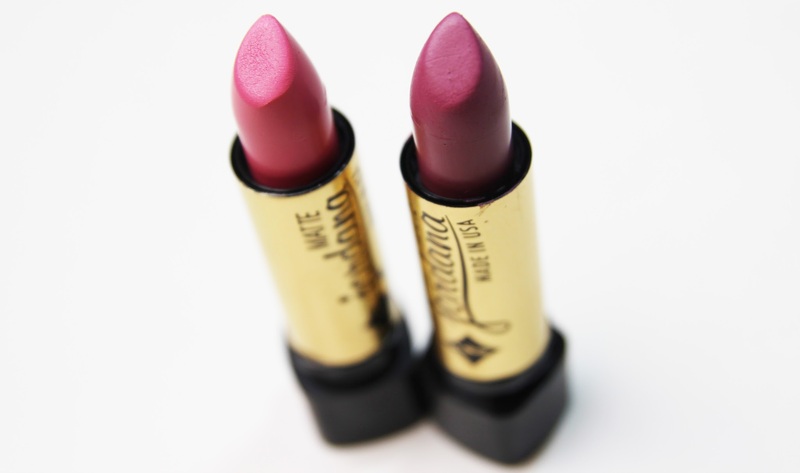 What is your favorite affordable lipstick? Available from jordanacosmetics.com for $1.49. I have Lavender Lady, they're not bad lipsticks! HostGator offers you the best hostgator discount codes promising condition to set up your WordPress site. To see your companions and guardians grin, and when it's another year it's your duty to give them warm wishes for happy new year 2019 splendid future, and you can do that by sending them these delightful glad new year 2019 Wishes.